Two children and their great-grandmother have been found dead after they went missing as they were ordered to evacuate Redding due to the devastating wildfire. Melissa Colorado reports. 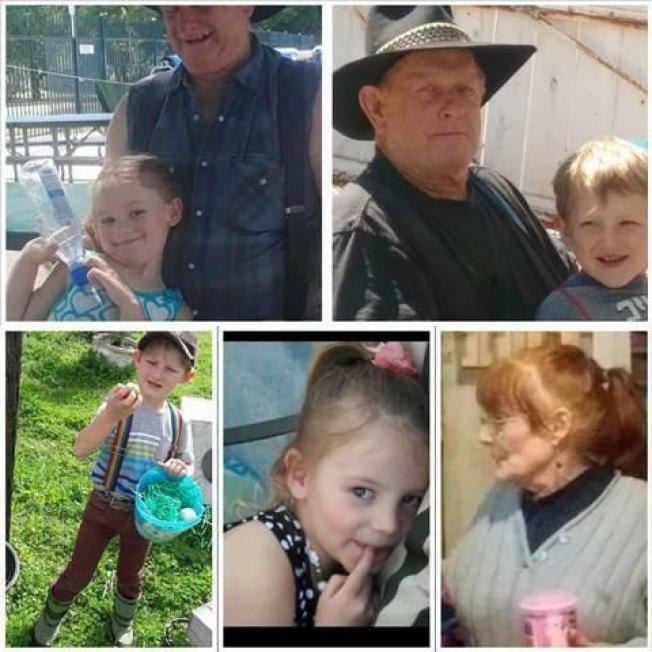 Two children and their great-grandmother have been found dead after they went missing as they were ordered to evacuate Redding due to the devastating wildfire, the family confirmed with NBC Bay Area. Five-year-old James Roberts, 4-year-old Emily Roberts and 70-year-old Melody Bledsoe were caught in the path of the Carr Fire when they were about to evacuate their home on Quartz Hill in Redding, Bledsoe's granddaughter Shelly Hoskison said. Bledsoe told her husband, Ed Bledsoe, that he needed to come home from work because the Carr Fire was getting close to their house, Hoskison told NBC Bay Area. Hoskison said her grandfather tried to get home right way but the streets were already blocked off by police. Bledsoe reportedly called the police, saying she was trapped inside of her home and had no car. That's when the phone call went dead, Hoskison said. "When you have a 70 year old woman in poor health that can’t go sprinting down the road like an NFL linebacker you know and you have 2 small children," said family friend Donald Kewley. "Imagine being the man that wasn’t at home with his wife and grandchildren that he’s been raising since day 1 because he wasn’t told to be home." Kewley, the boyfriend of Bledsoe's granddaughter, told NBC-affiliate KCRA that there were no evacuations ordered in their area. "There was no statement. The sheriff's department all morning made sure we knew it wasn't in the city of Redding. We weren't evacuating the city of Redding," Kewley said. The Shasta County Sheriff says the incident is under investigation. He also says, there was a firefighter on Quartz Hill Road around the same time, rescuing someone else, but had to flee after his vehicle almost went up in flames. Officials said there have received reports of several missing residents and they have set up a missing person hotline at (530) 225-4277. The Carr Fire grew by about 35 percent overnight to 127 square miles and pushed southwest of Redding, toward the communities of Ono, Igo and Gas Point. 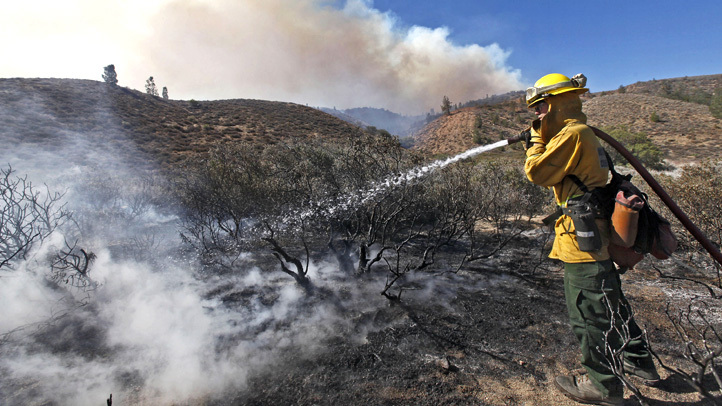 It's now the largest of more than 20 fires burning in California. The winds that aided firefighters in keeping the flames from more populated areas were propelling it forward at a frightening rate. The flames moved so fast that firefighters working in oven-like temperatures and bone-dry conditions had to drop efforts to battle the blaze at one point to help people escape. Two firefighters were also killed: Redding fire inspector Jeremy Stoke and a bulldozer operator Don Ray Smith. He was the second bulldozer operator to die in a California blaze in less than two weeks.